If the amazing ocean views and fresh Pacific coast air aren’t enough to satisfy White Rock senior citizens and the many retirees who have made White Rock their home, there’s no need to worry. This location boasts the lowest annual levels of rainfall in the Lower Mainland, and as such, there’s no shortage of activities available, indoors or out. The benign climate also makes White Rock a haven for year round golfing enthusiasts. 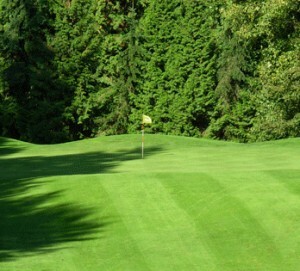 No less than fifteen golf courses are located within a 20-minute drive of the town centre, and they range from low-handicap-challenging, to beginner par 3 courses, and everything in between. All the golf courses are seniors friendly, with favourable rates for over-55’s. Take a stroll along the 2.5 km-long beach promenade and enjoy the sea air, the view and a magnificent variety of shops and restaurants. Try your luck at crab fishing off Crescent Beach, where you’re also likely to spot the occasional seal sunning himself in the warm waters. Watch the fishing boats coming and going along the 1,500-foot pier or better still, catch one of the charters that offer deep sea fishing for halibut. White Rock has an active sailing club, and outstanding indoor and outdoor tennis facilities. There are also excellent facilities for those interested in that great Canadian pasttime of curling. The Peace Arch Curling Club welcomes those who want to watch, learn or participate in the sport. The White Rock Lawn Bowling Club can be found on Dolphin Street; they boast world champions among their members. To find out more about all the various sporting facilities available to seniorsai??i? ?and retirees of all ages–in White Rock, go to www.whiterockseniors.com. From bird watching on Blackie Spit, home to many bald eagles, migratory ducks and Candian geese, to attending the annual White Rock Artist Studio tour (www.whiterockstudiotour.com), to gazing at the many starfish clearly visible in the shallow waters of Semiahmoo Bay, there really is something for everyone on the White Rock social scene.